Ideas for Class Rule changes for next year's AGM ??? ... or is it, "No I meant foresail not foursail"! Sat 11 May: Fishers Green Sailing Club, Lea Valley [alongside vintage Merlin Rocket Open, with our own starts]. Go to the photo gallery for more pictures. See Events/Results for more on the championships. The SigneT is a 12’4” traditional racing dinghy designed in 1961 by the late Ian Proctor. In Ian’s own words, “the design problem set by the Sunday Times was to provide really good sailing and racing at the lowest possible cost” and over 50 years later the SigneT does exactly that. The resulting SigneT is probably the easiest to build two-person boat. The hard-chine wooden hull, designed for home building in your average single garage without the need for fancy tools, is a lasting design. Now you can have SigneTs built for you, home-build or buy second-hand. The oldest example built to the current design is SigneT ST2; it was built in 1961 and was sailing competitively within the fleet until very recently. It now forms an important part of the National Collection at the National Maritime Museum in Falmouth - see here for more. You can view a brief specification here. The SigneT was designed for all the family. It is small enough, with jib, to be handled by children in moderate winds and its stability makes it ideal for training. Yet fully equipped, with Genoa and a 90 square foot spinnaker, it makes for some very exciting racing. The class is a family class, which welcomes new members, whether as experienced sailors or novices. Both individuals and families are equally welcomed in a fleet where all age groups race together in a competitive, but supportive and friendly atmosphere. There are opportunities for beginners to sail with experienced members of the fleet and also for non-racers to cruise. And as long ago as July 1963, a bunch of SigneTs crossed the English Channel (including ST2) to demonstrate the seaworthiness of what was at the time perceived to be too small a boat for coastal work. 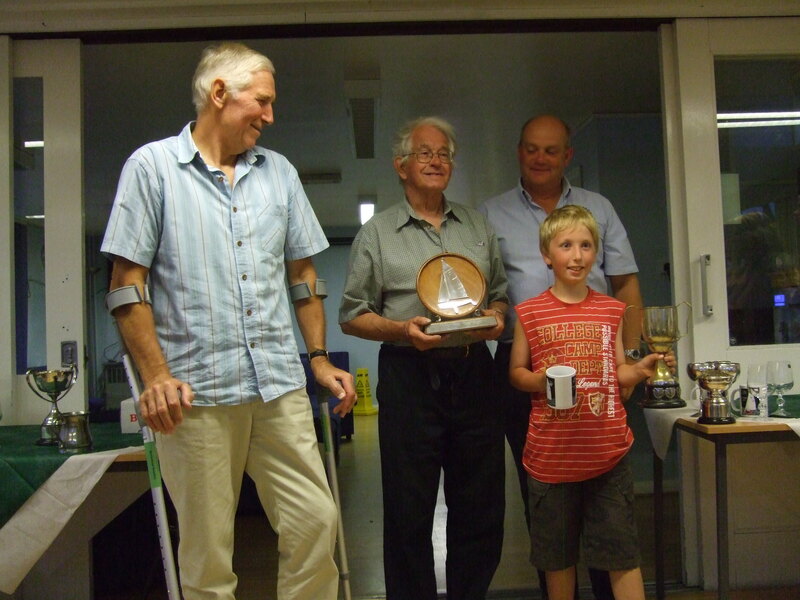 Non-sailing supporters are equally welcome and many lasting friendships are made on the bank. The association runs a series of Open Meetings at various venues between May and September. 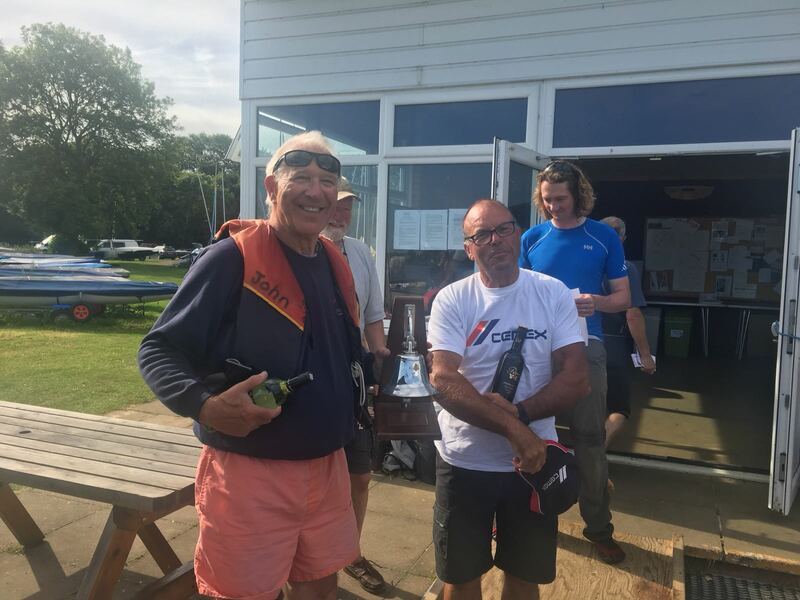 We also hold a full week’s National Championships in early August each year, with the nationals venues taking us variously to both coastal waters and inland lakes. We offer help and advice on all aspects of SigneT sailing including buying or building a SigneT, fitting a SigneT, measurement, tuning or any other question you can think of relating to SigneT sailing. We are also able to put new members in touch with other SigneT sailors around the UK for local support and advice.